1 round whisper grille Ø 5 in. 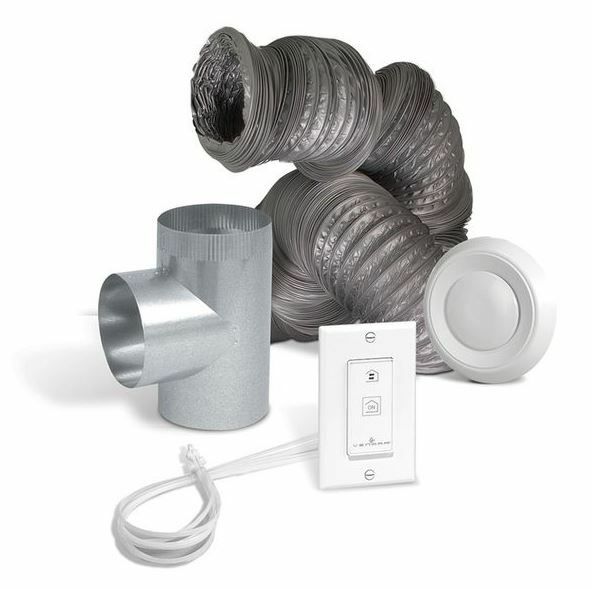 20 ft. uninsulated flexible duct Ø 5 in. Note: This optional bathroom installation kit is also compatible with PRO 301 air exchanger.